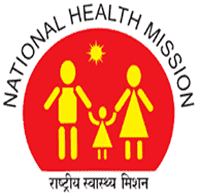 NHM HP Notification 2019.National Health Mission, Himachal Pradesh has released a notification for the recruitment of Dental Doctor, Physiotherapist, Nurse, Paramedical Staff, Lab Technicians, Microbiologists, Driver, Counsellors and more vacancies.Check the eligiblity and notification prior to apply for the positions. For more details candidates can refer the official website. Post wise monthly pay is given below. Mode of applying for NHM HP Recruitment 2019 is through online mode. 31st January 2019 is the last date to submit applications. http://www.spc.co.in/spc_jobs/index_nhm_hp.php?prj=14&orgID=12 is the link to apply online.